Akio Tsukino is bored. He’s a staff photographer at the Dainichi Daily in Tokyo, stuck in the back pages, shooting parades and grade school plays. When a serial killer starts chopping off heads in nearby Kofu, Akio sees a chance to break out of the routine and prove himself. It never occurs to him he'd find himself in the path of a monster. Masami Sato, a top staff writer on the police beat, is a tenacious woman going toe-to-toe with men in a male-dominated arena. When she’s sent to investigate the serial killer, she’ll stop at nothing to get the scoop. If only Akio would get out of her way. 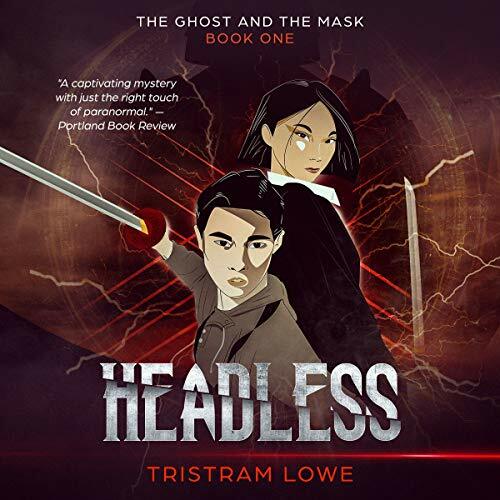 As they struggle to get along, and ghost stories of evil samurai become the order of the day, Akio and Masami soon realize that the price for getting the story may be their own heads. I was worried that the Author narrated his own book because normally that leads to a monotone story read. However in this case I was pleasantly surprised at the superb narration skills of the Author. The story itself was a mystery with paranormal elements that was fast paced and thought provoking. The characters were in depth and there was a slight comedic undertone that I liked very much. The narration was easy to understand with distinct character voices. I really enjoyed this story and look forward to more from this Author.